We are hiring front-of-the-house staff, including: Gelato Service, Counter Service, Wait Staff and Assistant Manager. Ideal Candidates will share our passion for great food and our comittment to providing excellent service, and will have experience working in a fast paced professional enviornment. Assistant Manager position requries proven experience working in a supervisory role in a fast-paced front-of-the-house enviornement and consistantly diplay a service attitude and mentality. Must be available to work weekends for Breakfast and Lunch Service. Wait Staff, Counter, and Gelato Service will have proven experience and knowlege working in a resturant front-of-the house environment. Will have a geniune service mentality. Available for Breakfast & Lunch Service, Must be available for weekends. Counter Service and Gelato Servers should have completed their sophomore year of year of high school plus. All other positions must be high school graduate plus. Assistant Manager positions requires at least one year working in the front-of-the-house supervisory role. Gelato Servers, Counter Servers and Wait Staff should have experience working in a hospitality environment and must maintain a service attitude and commitment to serving customers. 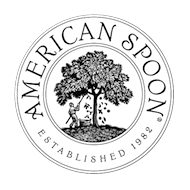 Send information or resume to hr@spoon.com and or stop in the American Retail Store at 411 East Lake Street Petoskey (right next door to the Cafe) to complete an application between 11am-4pm daily.